The Pyranha 9R is the newest boat from the Angry fish guys. Primarily designed as a white water race boat, it is fast, but as everyone who is paddling it discovers it's also very fun. 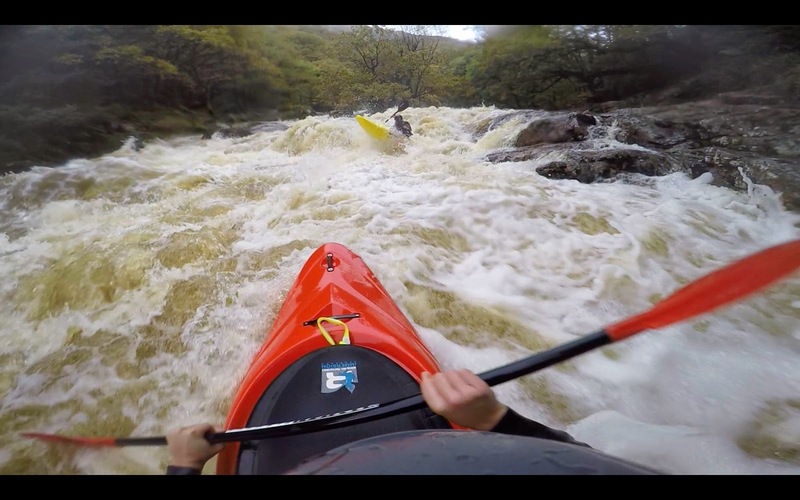 We lent our demo to local paddler Amy Elworthy to have a paddle on her home run - The Upper Dart. Amy paddled it in Europe earlier in the month and was surprised by it, she needed to check it out on more familiar turf to get a second opinion. "Having turned up in Austria without a boat I was handed the new Pyranha 9R to paddle. Many thoughts entered my head including how am I going to paddle something I'm not used to, and this is meant to be a race boat, right?! I’ll never feel comfortable in something like this going down tight technical rivers…. I couldn't have been more wrong if I’d tried…. The 9R is so smooth, so fast and so fun! It feels so familiar yet is nothing like I have ever paddled before. 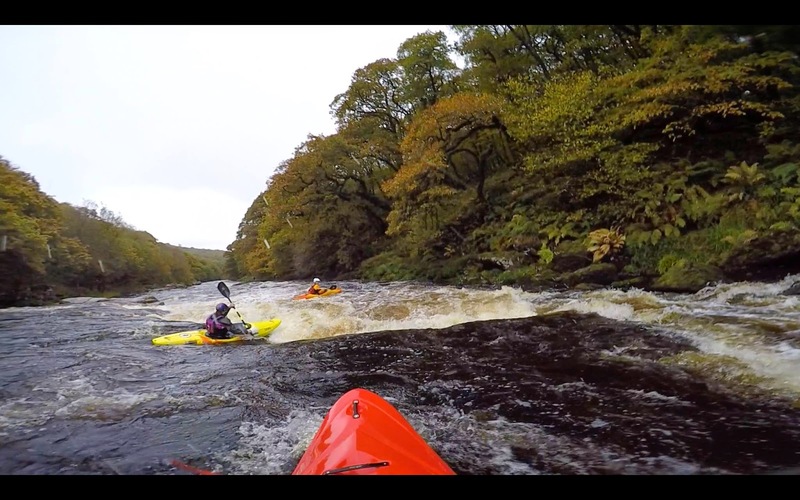 On returning to the UK and with perfect flows on the Dart I went out to play armed with the 9R and the Burn to see how they would treat me on a river that I knew. Entering the top ledge at slab fully covered flows, The bow of the 9R riding high and dry. In high flows the 9R is so responsive and fun, it seems to fly through and over everything. In lower flows you do need to work slightly harder to move it around the river, but not so much that it’s too much effort. It’s for the paddler that wants more than just to get down the river. For me I love the fact that the more effort I put into paddling it, the more I get rewarded with. that I need to get used to paddling something new! The Burn is a great boat to paddle, it’s comfortable, moves around the water with ease and responds well to every paddle stroke and every directional change. It paddles with little effort and is definitely great for the tight technical low volume rivers that I find myself on a lot in the UK. If it wasn’t for the 9R this would be my choice. I feel that the 9R has so much more to give, it makes you work harder but the end result is worth every bit of extra effort. The 9R is definitely not just a race boat as I originally presumed; it’s a fast fun white-water kayak that really bought back a lot of fun and excitement to my paddling over the weekend." Absolutely flying out of the bottom of Suprise Suprise / Pandoras box. So as you can see, more than just a race boat. Come and find out more for yourself by booking a demo. 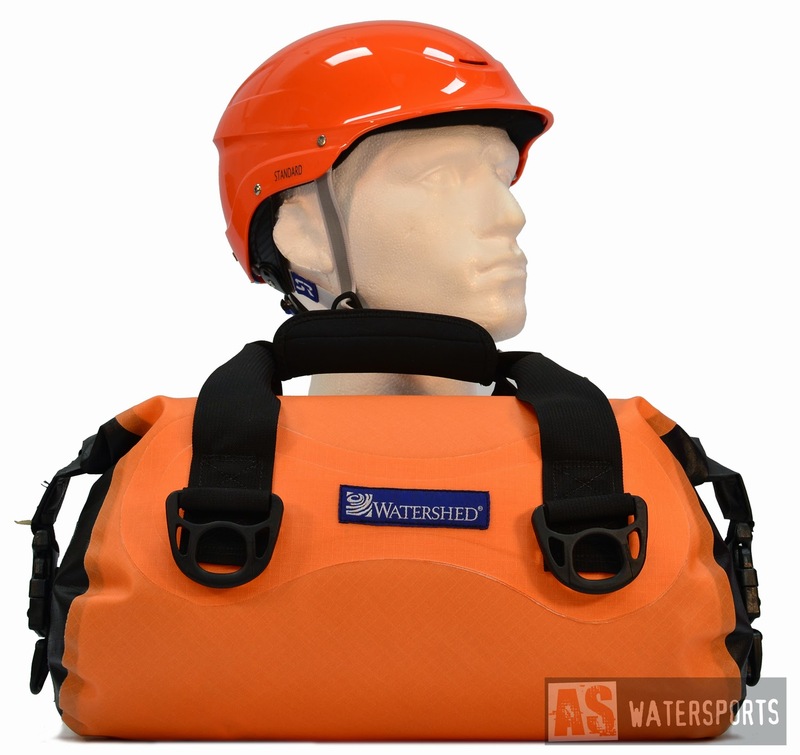 This month we are highlighting 2 products that no paddler should be without, a good helmet and a reliable dry bag. In this post we will be looking at the Watershed Ocoee in detail. Watershed have been making bags in the USA since the 1980's, over the years their bags have evolved but one thing has remained: they are still made and designed by whitewater boaters, who care about gear that works.